thats funny, the redstripe is all I've found, but E.hispilabris seems to be more rare here, maybe this will be a good year for them though. Very cool, be sure to post pictures should you find some this year! Bumping this thread so new members could post on it. Interested in hearing your dream beetles! 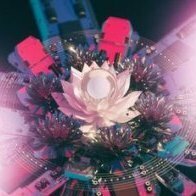 Bumping this so the new members see! Interests:Amazon Rainforest, White Sands Monument New Mexico, Yellowstone National park, Wildflowers, Photography, Eleodes Hispilabris (and of course other BEETLES), and art/sketching. My wish list is basically every African darkling species (especially prionotheca and colognathus) and up until recently mecynorrhina torquata . Interests:Competitive Super Smash Bros. Melee, Progressive Jazz Metal, Horned Beetles, Collecting CD's, Learning About Evolution. 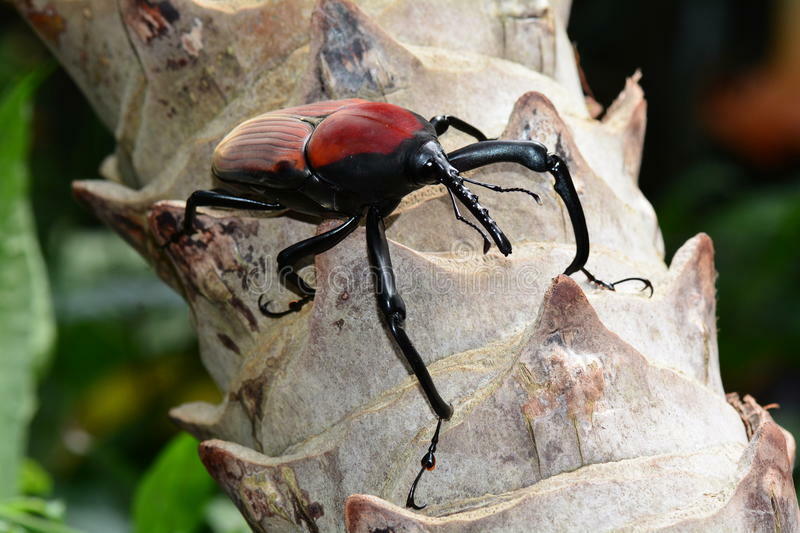 I would kill to have Megasoma elephas and Dynastes neptunus. D. neptunus specifically is probably my favorite species of animal in the world. The quadruple horns are killer and remind me of a ship from the R-Type series. Coprophanaeus lancifer - don't even know how one would successfully keep a carrion-eating dung beetle (I wonder if that affects their legality), but damn they're pretty! Would love to have a Cheirotonus macleayi formosanus, I remember going to Taiwan hiking up those mountains and finding those beetles, and they are very beautiful. Also, I would like to acquire some L. Elephas or Rhaetolus sp., they're pretty in their own way. If only I could set my hands on those giant Dorcus and huge Prosopocoilus beetles. Throw in some Chalcosoma Atlas, and DHH and you have my list! My tastes are quite unconventional. Unfortunately, many of the below have been never kept as pets before. 2. I drool at almost every tenebrionid I see photos of. Bump so new users could post! Interests:beetles, art, dungeons and dragons, and a lot of cartoons! I'd be satisfied with a _Titanus giganteus_ L3. I have a couple of new editions. 3. Oryctes rhinoceros (I know it’s a pest, but why do you think I know about Calais speciosus (wink face)). 7. Essentially any beetle from the desert. 10. Most species of forest darklings (I have alobates, bolitotherus, and neomida, but I really want meracantha (I have a couple of larvae), tarpela micans (am I correct in assuming that no one he’s bred these yet? ), and any zopherids, as well as nyctobates gigas (the longest darkling in the world). Of course, all of the species in my original list (especially prionotheca Coronata, that’s my favorite creature to roam the earth), along with the addition of velvet ants (they’re not beetles, but I love them anyways) still count. Hopefully y’all can tell that my main interest lies in tenebrionids and related families. And before anyone asks, I will NEVER stop saying y’all! Bump because I love this topic. 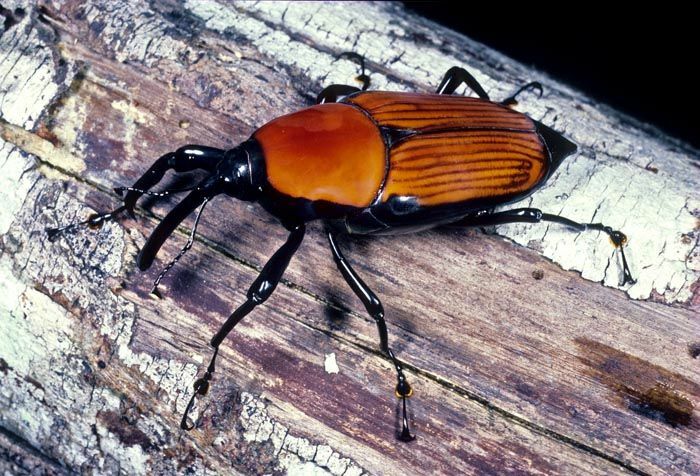 My dream beetle is Megasoma Elephas. I love the coloration and the huge size. Definitely looking forward to one day own this beast. For now, animal crossing will do. They're upwards of 30 mm long, and are collected off of yam leaves in Papua New Guinea. 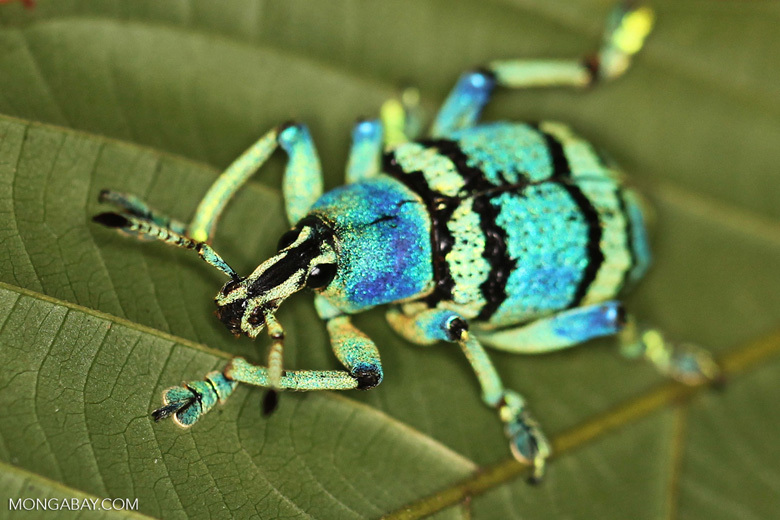 Of course, two issues: (A) - they're an exotic that would undoubtedly be restricted (at least, in the US), and (B) - I've never heard of anyone having live specimens of any species of Eupholus (or live examples of any other beetle species from PNG, for that matter). As of late, it's getting difficult to get even dried specimens of many insect species from PNG, though I've not thoroughly explored the reasons for this. Formerly, the country seemed to have a thriving insect farming business; not sure what happened - too much of its rainforest destroyed over the past 25 years, perhaps? Heightened export restrictions? That is an extremely cool rhino! It reminds me of a dead leaf mantis in beetle form. Holy crap, those are gorgeous! Something about weevil leg structures make them look like toys to me. Looks like I've got to update my unobtainable wishlist! 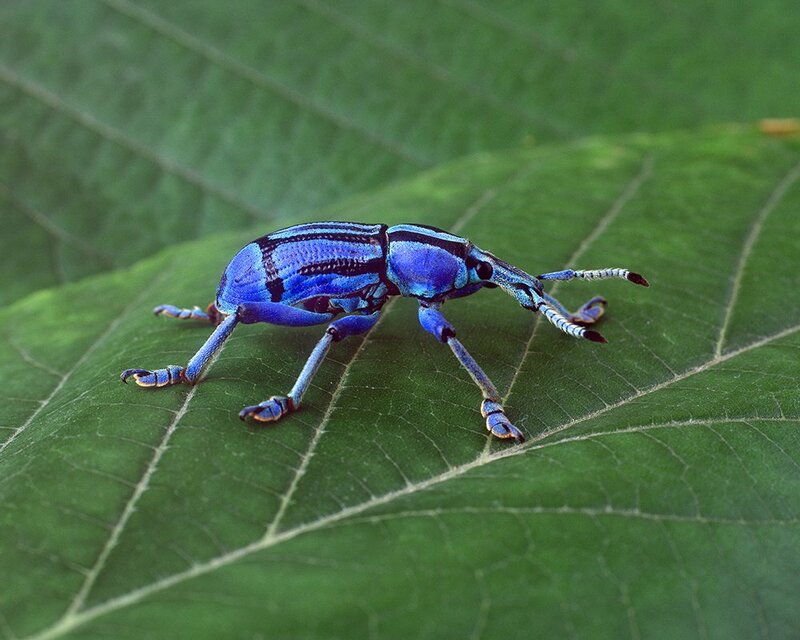 Yes - Eupholus weevils look (and move) like tiny, hand-painted robots! Here's another very neat weevil - Macrochirus praetor (Giant Malaysian Palm Weevil), which is the largest curculionid in the world, at over 90 mm. Males have enlarged, hook-like front legs, and spiny projections on the snout. 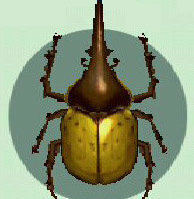 The dorsal surface has a velvet-like texture similar to that of many cetoniine scarabs, and the ventral side is very glossy black. Right? I love the almost cardboard-like texture they have and their cute eyes and horn. That species looks like the weevil equivalent of long-arm scarabs, haha. I think my favorite weevil species has to be the one with little red tips at the ends of their legs and I think they're called clown-shoe weevils. Resurrecting because we have quite a few new people and I enjoy this thread.